The prize product of this family-run estate – from their best and oldest vines, a first-class cru. 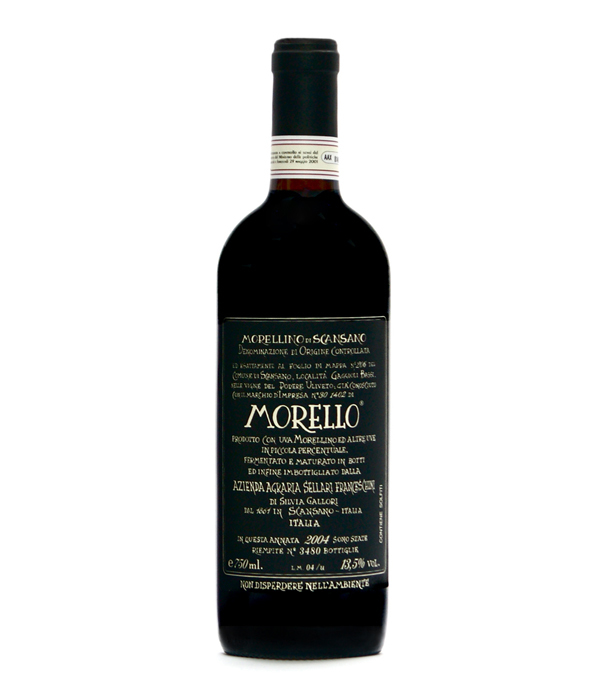 A robust yet subtle wine good for ageing with intense aroma full of character, tasting of dark berries, walnut husks. A great wine produced in very small quantities (under 3,000 bottles) and entirely fermented and aged in chestnut barrels and used oak, from the first family producers of Morellino (early 1800s). N.B. Open 6 hrs. before drinking.